The Atheneum features flexible and dynamic multi-service banquet rooms including our spectacular Grand Ballroom which is able to accommodate up to 700 people for a banquet and up to 300 people in a classroom set-up. We are proud to provide unique and tantalizing world-class cuisine along with an extensive wine list. State of the art audiovisual and video conference capabilities, staging and room designs are all part of our service profile. This beautiful room is perfect to host your social event or business meeting. This room can be set up in various different styles and can accommodate up to 150 people. Our staff will be happy to create a menu and layout for your event to fit any type of function. 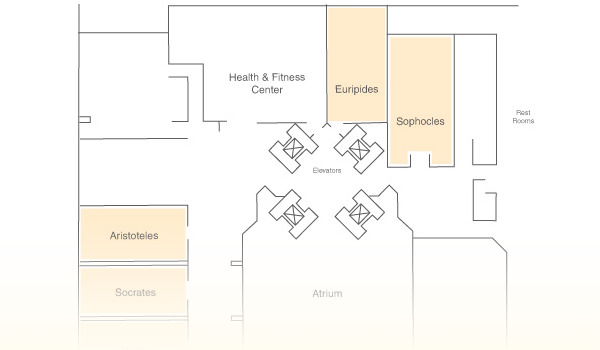 Located on the second floor Euripides is an intimate room which offers a window overlooking the Detroit People Mover. 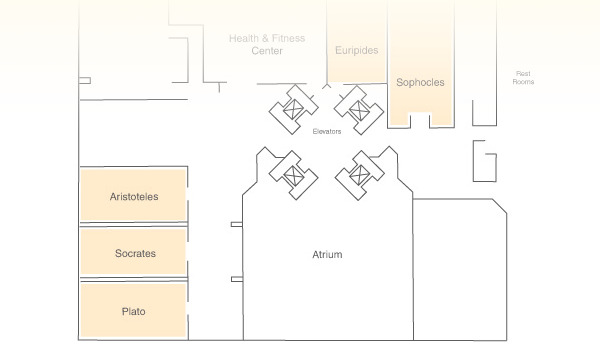 Sophocles is located on the second floor and is the perfect space for your next business meeting or social event. 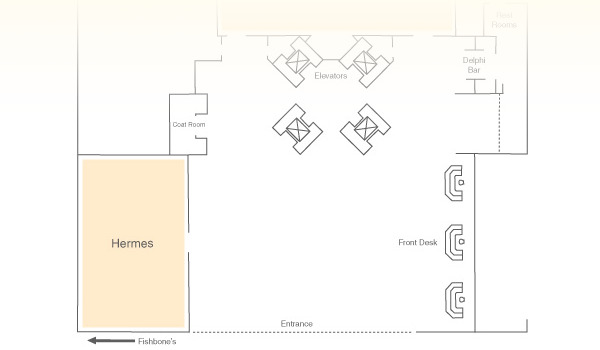 With the pre-function area outside the room it allows for flexibility when planning your event. This beautiful room is perfect to host your social event or business meeting. This room can be set up in various different styles and can accommodate up to 35 people. Our staff will be happy to create a menu and layout for your event to fit any type of function. With its mahogany table and black leather chairs, this impressive room is perfect to host those important client and business meetings. Our staff will be happy to create a menu and layout for your event.